Now this is presumably my last article on the Garrard 301 and 401 turntables. All of these articles are dedicated to the passionate amateur trying to max out the sound quality of these vintage idler drive turntables. For some years I had the Loricraft power supply units. They provide better control and speed stability, but depending on version and production year they may lose some of the famous Garrard punch and power. When I heard stories about the successful use of a digital motor controller made by Siemens, the Micromaster 420, for EMT 927 and 930 turntables, I had the idea to check this out for my Garrard 301. Such controllers cost about 400 EUR including operating panel, when bought new. So I decided to wait for an ebay bargain. Eventually I got such a unit including operating panel for 100 EUR plain, when the usual price range was 150 to 200 EUR for such. Wow. I downloaded the instruction manuals from the internet, and tried to figure out how to configure this controller. In the end I decided to stay in basic mode, where just a handful of parameters are needed for operation. This ain't no rocket science, and also no CNC controller, so why should I bother with hundreds of parameters. When I discussed this subject with Stefano "twogoodears", he confirmed that he did it the same way for operating his EMT 930. Please note: With the Garrard, you need only one connection to the controller, while the controller expects two motor coils to be connected. 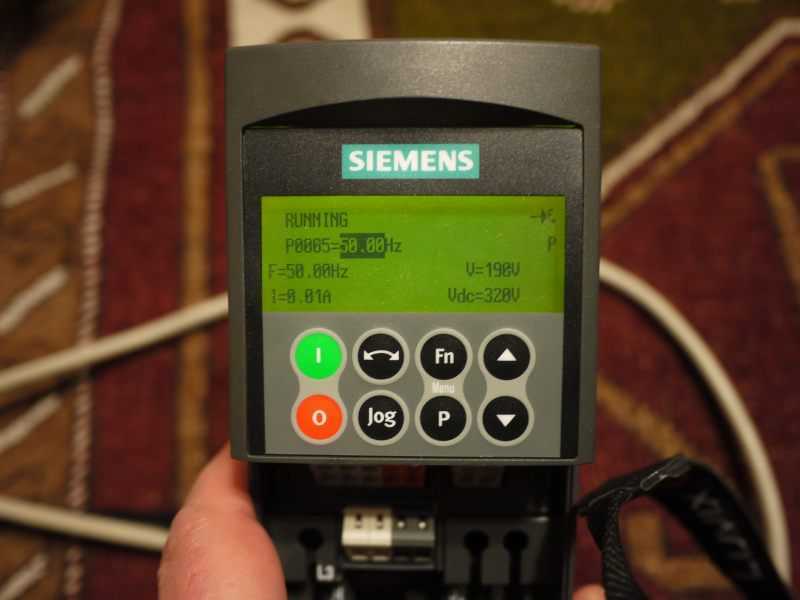 If you use higher settings for max current, the controller will detect that there is no second coil connected, and reports a failure, while stopping operation. Once programmed, operation is easy: just press 0 or 1 for OFF and ON. You can also program the controller to rely on an external hardware switch, and it is also possible to use an external linear potentiometer for voltage setup. When setup this way, you do not need to press any soft button any more. Important note: Be warned, if you use the Micromaster for switching on and off the Garrard, and forget to use the Garrard's on/off lever to release the idler wheel from the platter, you get soon a flat spot on the idler wheel. There are several sources of noise generated in the controller. First there is the noisy fan. When Stefano said to me, he simply disconnected it, I did the same. Since the Garrard draws nearly zero power from the controller, there is no heat dissipation at all. 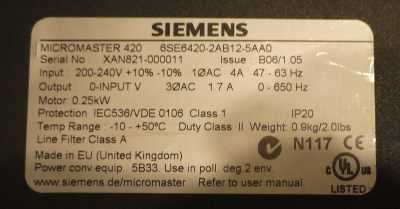 Another noise source are the switch mode inputs and outputs of the controller. So keep the controller away from the turntable, and use ground connections to earth the controller and the turntable as well. The progress in sound is very rewarding: flow and bass "rightness" are vastly improved, even compared to the better of my two Loricraft PSU units. How about cheaper controllers? You can buy Taiwanese controllers s/h for 30 EUR at ebay, but I have not tried them, so I cannot comment on this. One of my buddies has such a cheap controller, and my first impression was that I was underwhelmed by its subjective performance when connected to an EMT 930st. For the DIY enthusiasts, there are also numerous projects and DIY efforts you can find on the net. 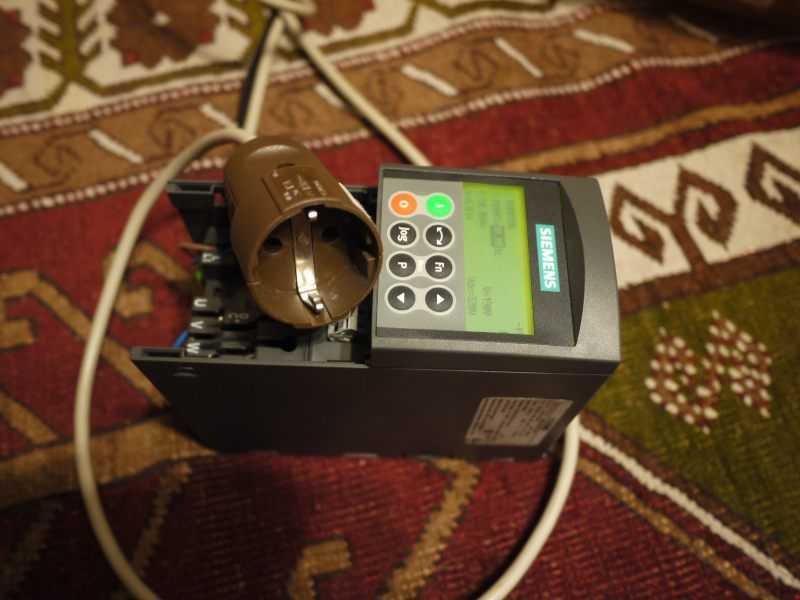 If you don't already have a controller, and you want to save your time, a Siemens Micromaster would be great, and is affordable, too, when bought second hand.